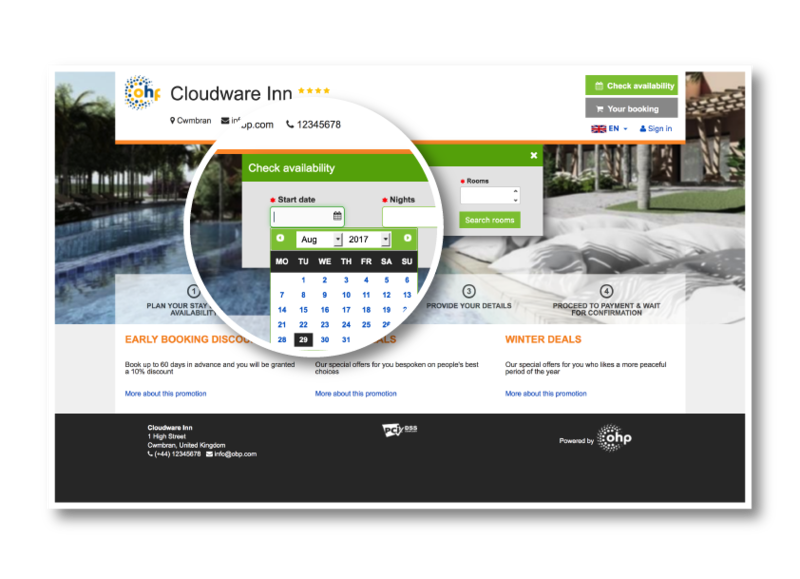 A beautifully designed booking experience to increase your direct bookings. 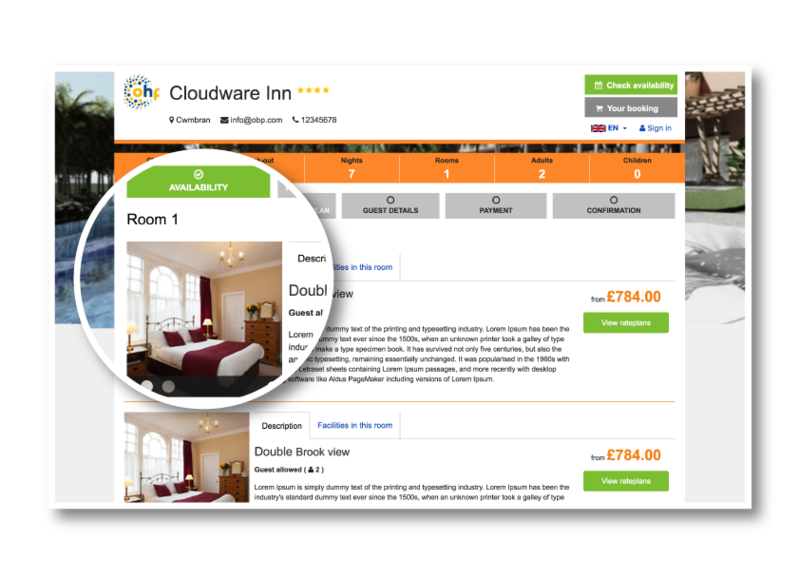 Designed to help convert browsers to bookers. 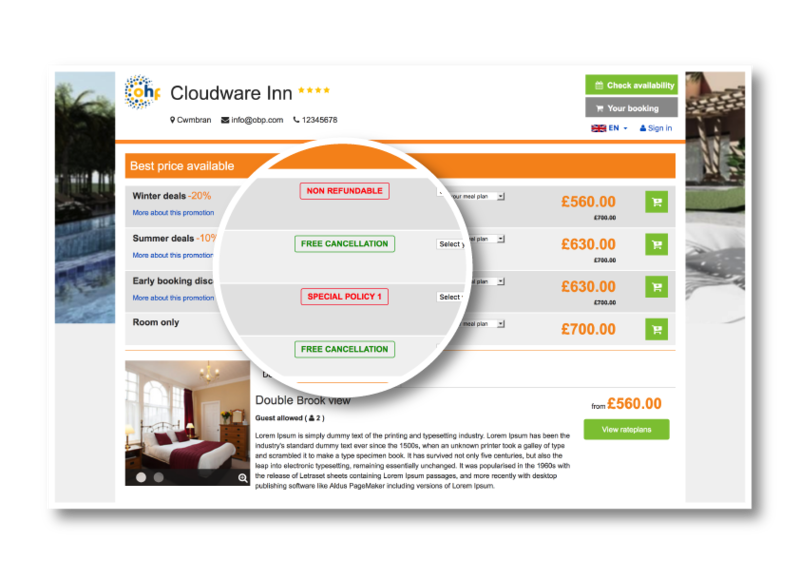 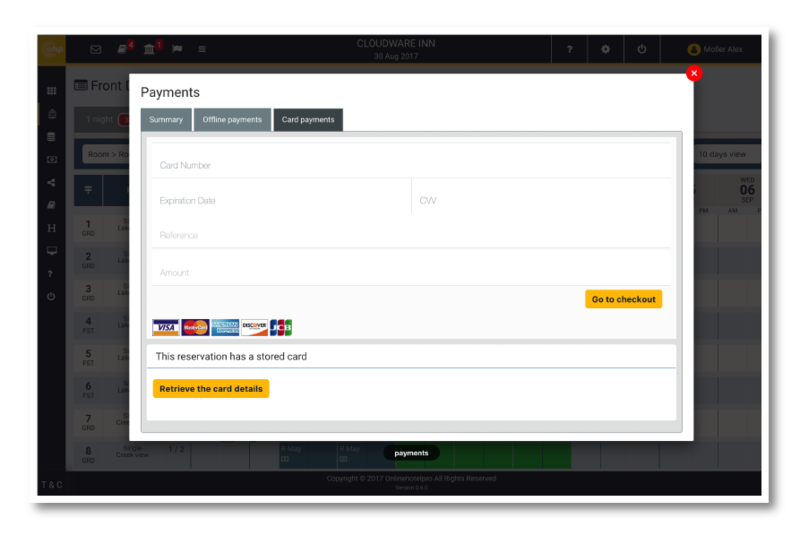 The Live rate checker is displayed on your hotel website and enabling you to display the prices your hotel charges in comparison to a select number of OTA channels you wish to compare against. 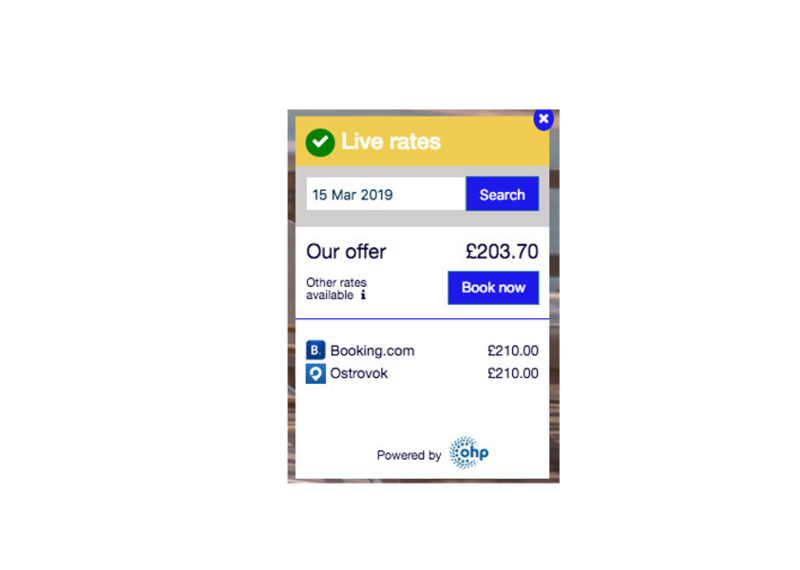 This is designed so that you can either show ‘rate parity’ or if you wish you can demonstrate that your rates are slightly better value than the OTA’s, in order to encourage guests to book direct and save you commission.